Only 3 ingredients are needed for these Buckwheat Pancakes. They are gluten free, freeze well, and taste great with all kinds of toppings from sweet to savory! One of the biggest challenges to being a gluten-free family is having affordable bread alternatives around so you can easily throw together a quick meal or a snack. We regularly enjoy our Flax Bread, but it's a little boring to have the same thing over and over again. 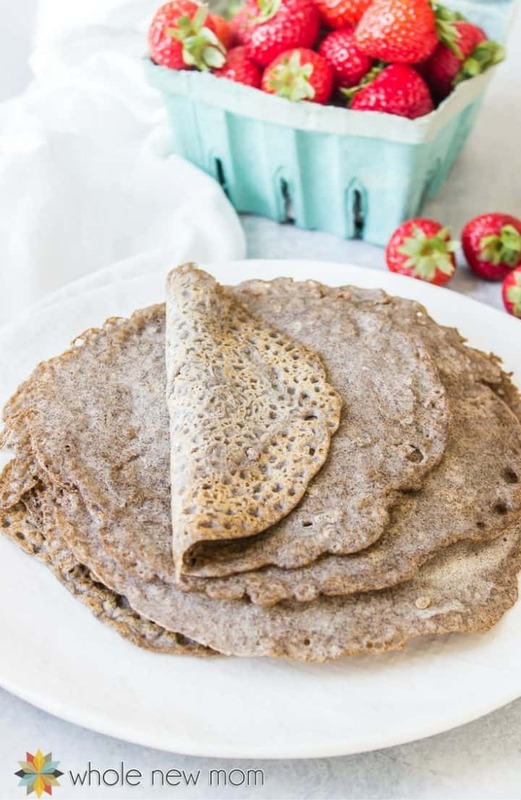 This recipe for buckwheat pancakes is another great option to add to your gluten-free recipe box. 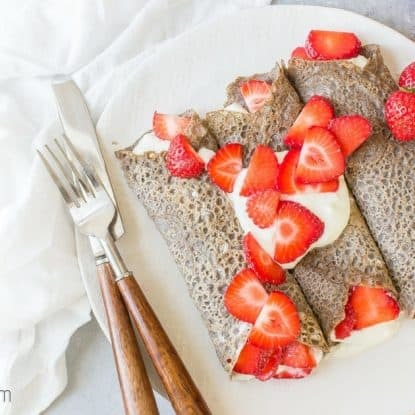 This Buckwheat Galette Recipe (that's the real term for these flat cakes) is one recipe in our home that has become a staple. They make a great gluten free wrap that is so much less expensive than those “priced through the roof” wraps in health food stores. They mix up quickly and simply, store well, travel well and are a super flexible background for meals and quick snacks. And they freeze well. And my kids love them. 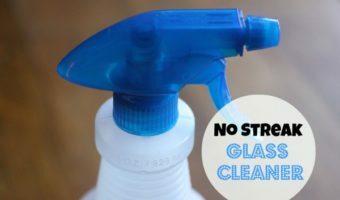 I found this recipe a number of years ago on Whole Approach, a super helpful site for anyone dealing with candida. Candida, if you aren't familiar with it, is a systemic overgrowth of candida yeast in one's body. It is typically associated with the overuse of antibiotics and eating too much sugar and starches. My oldest son and I figured out that we were dealing with severe candidiasis and as a result went off sugars, most fruits, and gluten and my hunt for recipes that would help us in our quest for health began. Well, getting well and feeding a family whole foods can take time so I just loved it when I found out how easy these little French pancakes / crepe like breads are. 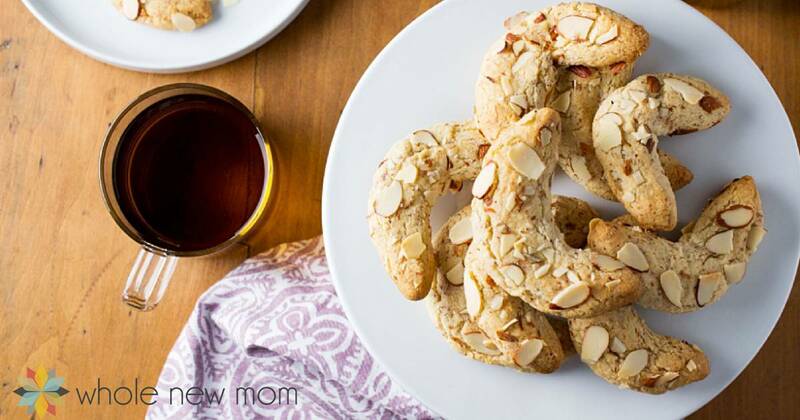 Less time in the kitchen makes for a happier mama and a more peaceful family. Side note – if you're struggling with finding easy recipes too, these are some of the more simple ones on my site. Traditionally, galettes are a round, freeform crusty cake. But this recipe is more of a crepe (Breton galette) that French bakeries serve with fillings (source). Galettes are famous in Brittany, France, and one of the most popular ways to eat them is formed around a center of cheese, ham, and egg. In the photos in this post, they are shown with coconut whipped cream. You could use that or this dairy-free coconut pudding as a delicious alternative. And I am on an almost grain-free diet. But there are still two others in my household and we haven't all gone grain free….so for now, at least, you will be seeing a mix of both grain-containing and grain-free recipes. 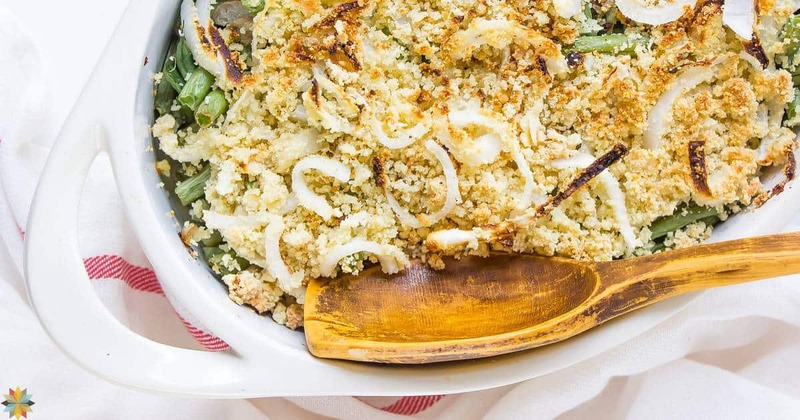 And technically, buckwheat isn't a grain – it's a seed. But it's still heavy in starch. To reduce the starch and increase the protein content of the wraps, sprout the buckwheat first. Eat these buckwheat pancakes just as is! Spread with sandwich fixin's like nut butter, either plan or with jam or sweetener of choice. Top with another pancake and eat like a sandwich. Here's how to make Homemade Nut Butter. Spread with a thin layer of your favorite filling and roll up and eat like a wrap. 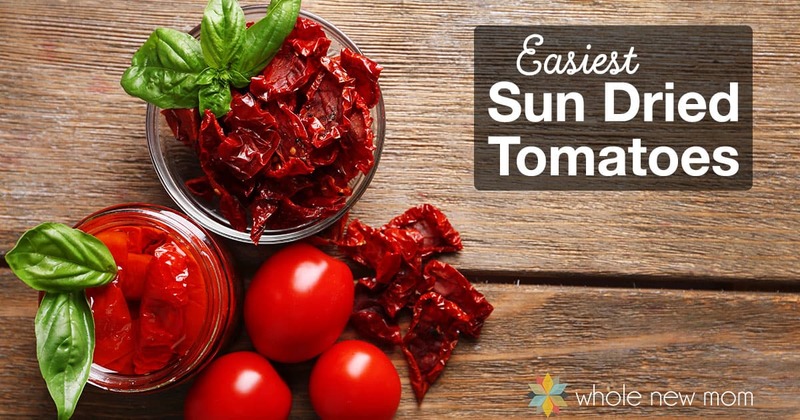 (The top photo is filled with scrambled eggs, tomatoes and peppers.) We've filled them with this Sesame-Free Hummus at times. Yum! Fill your buckwheat pancakes with ice cream (like this Chocolate Almond Chip Ice Cream…our favorite!) and drizzle w/ chocolate sauce. Umm….I hear it calling my name now! What a simple, elegant dessert! Technically, you are supposed to make a fairly large galette and place filling in the middle and fold the outer edges up. I haven't tried making these pancakes in this way yet, but I hope to! I think it would work best if you use egg for this method. 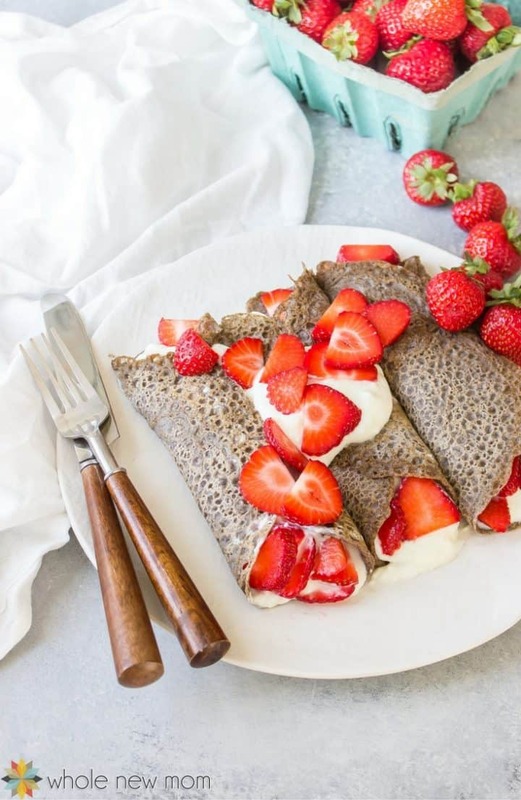 These buckwheat pancakes will hold together fairly well as a wrap, but not perfectly. I hope to work on another wrap recipe or two for later. Egg Substitute: You can use an egg substitute instead of an egg. Here is my Homemade Egg Replacer. 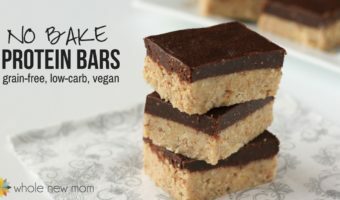 THM: This recipe qualifies as an “E” for those on the Trim Healthy Mama plan. You only need 3 ingredients for these Buckwheat Pancakes. They are gluten free, freeze well, and taste great with all kinds of toppings. 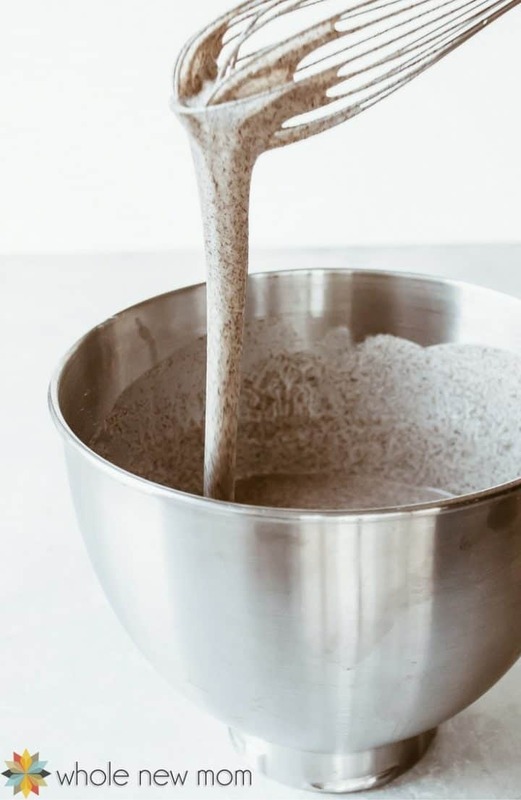 Mix flour and salt in a large bowl. Add water gradually by adding in 1/4 - 1/2 of the total amount each time, stirring well after each addition. Add the egg or substitute. Cover batter and refrigerate for 1-2 hours (optional. I've, opted not to do this when I am in a hurry. For best nutrition, soak the buckwheat mixture prior to adding the egg). Ladle batter onto a prepared skillet, greased as necessary. Cook until galette starts to brown. Flip galette over and cook on the other side. You can soak the flour and liquid overnight as well, and the pancakes will turn out quite a bit thicker. See How and Why to Soak Grains. What do you think you would fill your Buckwheat Pancakes with? 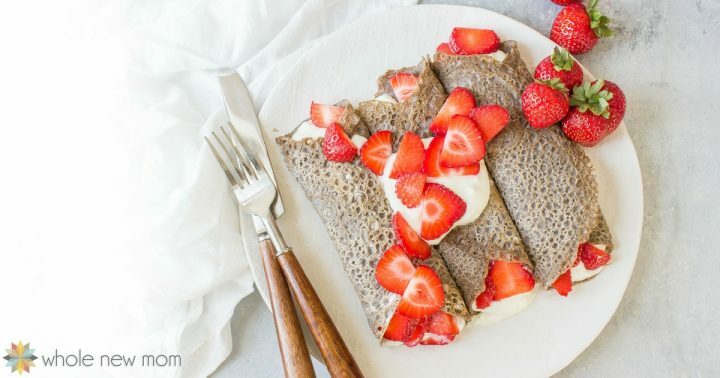 This is by far best recipe for buckwheat pancakes I came across. I have used flax egg and reduced amount of salt, used 1/2 tsp as it looked to much salt per amount of flour. It was salty enough with 1/2. My kids and hubby loved it. Thanks for sharing. Thank you so much and I’m so glad you liked them! We do too! If you are so inclined and would like to leave a star review that would be much appreciated. Thanks again! This is not vegan as contains egg! There is a vegan option in the post and we make it that way all the time. Hope that helps and that you enjoy them! Followed the recipe had to add more water to get the right consistency which was fine. However, far far too salty have had to throw the whole batch out! I’m so sorry you had that problem. I have never felt it was too much salt–are you sure you followed it exactly? Please do let me know! If i have flour can that be sprouted? Confused on The sprouting you suggested? HI there. Let me know what you mean, please.